The options here are far more powerful than they once were. I encourage you to poke around and discover how precise this new targeting is. 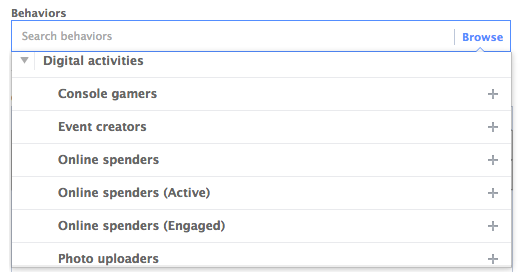 Today, however, I want to start digging into how you can target Facebook users based on actual behaviors. 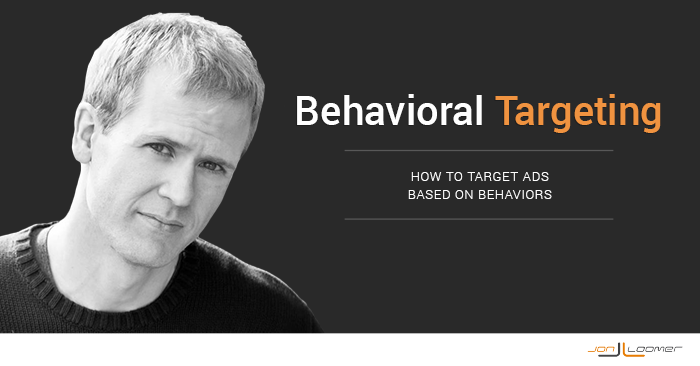 The amount of targetable behaviors available is in the hundreds, so I won’t cover all of them today. But I want to be sure you have a solid understanding of what is possible. 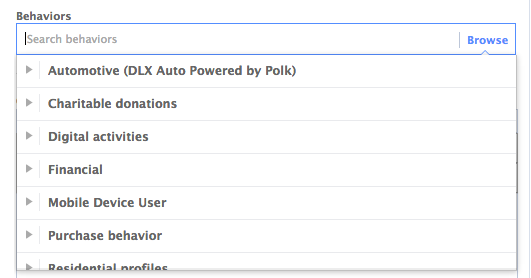 Whether you create your ads in Power Editor or the ad create tool (I recommend Power Editor), advertisers will see the “Behaviors” drop-down in audience targeting. When those sub-categories are clicked, even more sub-categories are exposed. The amount of targeting you can do based on the type of vehicle someone owns or leases is incredible. As a result, a separate blog post to cover this topic was needed (read it here!). This information is pulled from Partner Categories. 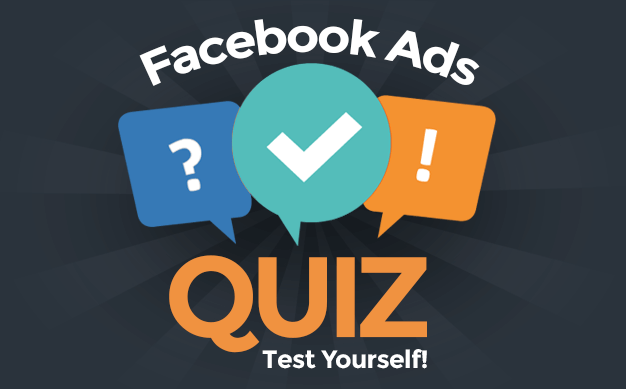 Datalogix, a data mining partner, collects this information when large purchases are made and reports it to Facebook to be used in ad targeting. More will be discussed on this later! 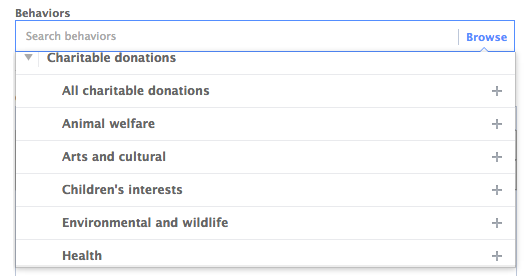 If you were to select “Animal Welfare,” for example, you could target all Facebook users who have self-reported that they donate to animal welfare-related charities. This could be incredibly useful targeting for non-profits looking to reach potential donors who have given to a similar cause in the past. This data is pulled from data mining partners Epsilon and Acxiom, formerly found within Partner Categories. In most cases, it’s consumer self-reported data from surveys and donations. All of this data is pulled from activities performed on Facebook. Some of this is self-reported to data partner Acxiom and the Home Insurance info is publicly available. You’ll recall that there was also a Financial section within the “More Demographics” targeting. In that case, however, we were targeting based on annual income and net worth. 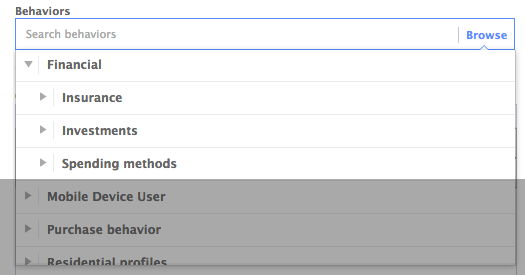 Facebook has this information based on how users access their platform. 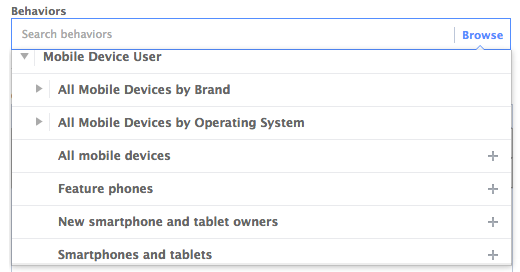 The difference is that with Behavioral targeting, you can target users who own a particular device but who aren’t necessarily on it at the time. 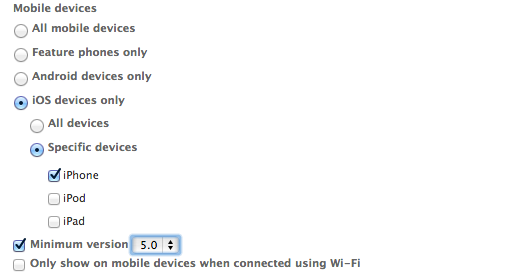 With the second example above, you are only targeting users who are using that type of device when targeted. 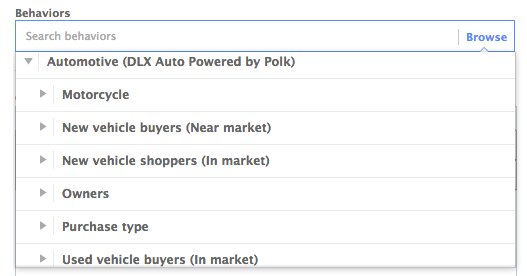 As was the case with the Automotive category, Purchase Behavior requires a blog post of its own. The possibilities are practically endless! This data is provided by Epsilon and Datalogix based on actual purchases made. 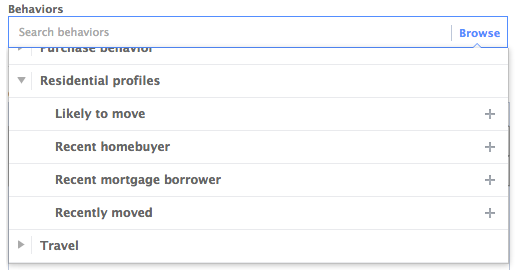 The Recent Homebuyer and Recent Mortgage Borrower data is pulled from publicly available and self-reported information. The Likely to Move data comes from Epsilon and Recently Moved from Acxiom. Some of this data is available based on information users share on Facebook and travel apps used. The rest of it comes from Datalogix. Collected from U.S. Census, warranty cards, registration information, the Department of Motor Vehicles, public record information, survey data, and other offline sources. Data must be validated by at least two sources to be included. The same rules apply here that applied to the More Demographics targeting. The first is easy to explain. 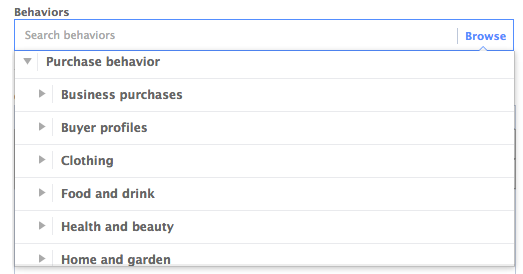 Facebook knows a lot about you based on your activities through their platform. 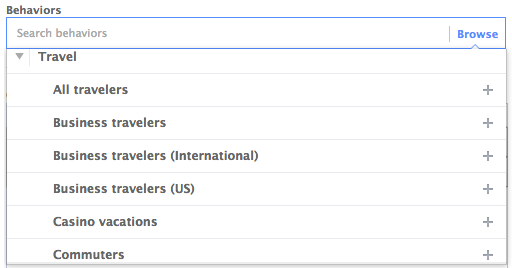 The second has actually been around for more than a year in the US via Partner Categories, but some of this targeting has been moved to the More Demograhpics and Behaviors areas. Automotive: A Toyota dealership targets Facebook users within 25 miles who own a Toyota Corolla that is 4-5 years old. They can even feature a picture of the new model, and direct users to a landing page to set up a test drive. Charitable Donations: A Democratic political candidate running for office can target Democrats within the area. Digital Activities: A B2B company with a product that helps small businesses can target those who have reported themselves as small business owners. Financial: An auto insurance company can advertise their rates to Facebook users in the area whose policies are set to expire. Mobile Device User: An iPhone app creator can promote an informational ad to iPhone users while not on their iPhone, then target those same users with an install ad when on their devices. Purchase Behavior: A Pet store can target dog owners with coupons that will be relevant to them. Travel: A travel company specializing in cruises can target Facebook users who are known to take cruises.